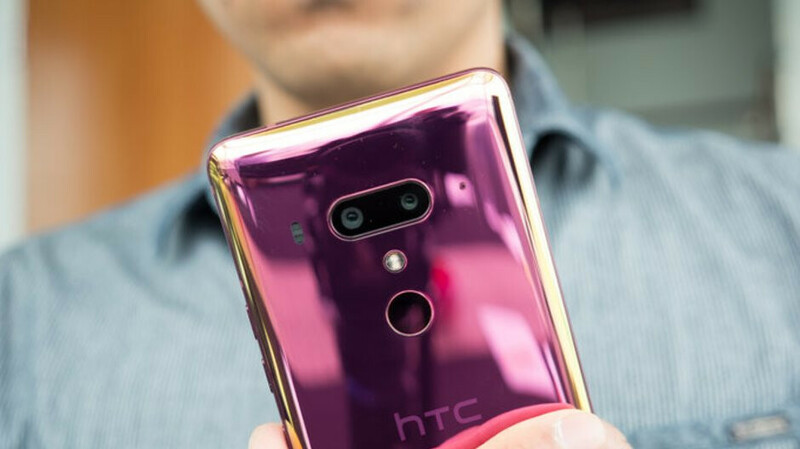 Over the years, as its smartphone business has continued to shrink, HTC has gradually switched its focus towards more premium devices in the hope of securing profits. But with the HTC U12+ performing pretty poorly, it looks as though the company could soon switch up its strategy. According to new information, HTC has scrapped all plans for a flagship in the first half of 2019. The company will instead be releasing some kind of mid-range offering in late spring. Unfortunately, it’s unclear at this moment in time what price point HTC will be targeting. So specifications and features remain a total mystery, as does the device’s design. In addition to this new mid-range offering, the Taiwan-based company reportedly has “something else” in the works for later on in the year. It’s unclear what this is but it could be a slightly more powerful device designed to compete with Apple’s iPhones and next year’s Samsung Galaxy Note 10. Alternatively, it could be something totally different that brings unique features to the table and avoids competing with the biggest brands. Regardless of what these mentioned devices bring to the table, it appears clear that HTC is finally responding to its financial woes and switching up its smartphone strategy. However, as the company now holds less than 1% of the global smartphone market, the efficiency of its turnaround efforts will remain to be seen. I hope a larger company like Google or Amazon would buy HTC and turn the company around. Too bad they are in this state. They are responsible for their dids. They stopped listening to their fans and horrible customer service experience are main reason for their situation. I know that probably no one is interested, but here's my short history with HTC. I owned an HTC One X and a Windows Phone HTC 8s. To get rid of the weirdo here, I gifted the HTC 8s to a friend after using it for 6 months because the lack of (mostly Google) apps. I'm still sorry Windows Phone failed though. As for the One X... the first year of our relationship was a tough sell. It was a love-hate thing. I had it fixed under warranty twice. First, the volume down button broke. As you can imagine, that is kind of a biggy when you use custom recovery and flash various roms on your device. The second time, the touch input died on a 2 cm (3/4 inch) strip, horizontally toward the top of the display. Good luck removing shortcuts from the home screens. Since I got a device from one of the first production batches, such issues were bound to happen. And I'm happy to say I kept that device for 4 years, 2 as my main device, 2 as secondary. With all its flaws and questionable software support, I loved that phone. Remember, it was 2012, and Sense UI was probably the best looking Android skin around. I wasn't too much into stock Android back then, and Nexus phones weren't that easy to come by (or cheap either) in Eastern Europe. When it comes to the one that got away... that has to be the HTC 10. It was 2016, it was expensive, months were passing and the price refused to drop. I didn't want to be bound by a 2 year subscription plan, and there was no way I could afford it off contract. So I got the OnePlus 3 instead, which was 40% cheaper. And then there's the fall from grace. 2018. Time to upgrade again. I got the chance to test the U12+ out in a shop. Since I fancied myself an HTC fanboy - although owning devices from several manufacturers over the years, including an iPhone 5s - I entered the shop prepared to love that phone no matter what. Mind you, it was freshly released. That means no patches and bug fixes yet. The squeeze thingy was quirky to say the least. And the capacitive power and volume buttons were horrendous, almost to the point of being unusable. And that was that... I held on to my OnePlus 3 for a few more months, got the 8 GB RAM version of the Galaxy Note 9 at the end of September, and I couldn't be happier. All that being said... I do wish HTC the best of luck. I will be upgrading again in 2 years, and I do hope to still see them around, but with a worthy contender this time. And that's due to a tiny little gem (4.7 inches is tiny by 2018 standards :P ) with an Nvidia soul that thought it could take on the Galaxy S III. It didn't win. It didn't break any records. It had plenty of flaws, but somehow it won over my heart. It resonates reading your long post. It was at the time HTC U 11 when I realised they won't come back. 10 was worth successor after 9 fail. I didn't go for M8 because I had M7 which in my opinion was the best phone of all times. Period. From design point nothing touches M7 and all the features this phone had back in 2013 it was simply mind blowing! I remember going to pub bying a pint and reading review on my old Galaxy 2 about this phone. Yes, i knew it's going to be my next phone. Fast forward U11 was just ok. Body colours and fancy materials somewhat suggested me they are going mainstream in order to quickly please the buyer. Long gone was superior design language and build quality of M7. U12 weird things happing with squeeze feature ( forgot 11 was also squeezed) generic design language which reminds me of LG product line and nothing unique, original. It seemd at this moment HTC had left to work with wathever left in their disposition. Engineering team being sold to google. What do you expect? Then thia thing 12U+ volume and power buttons that dont work and updatebis coming. Yes right, update is coming for what should work out of the box. The othe day I was watching every HTC announcment event from 2013 and it's sad to see that event over the years turned into one man prerecorded video presentation. HTC definitely deserves honor mentioning in smartphone history. And yes almost forgot, i think it was apple that's started patent war with HTC which could have crippled them at some point. Just bring back an updated version of the One M7 and we'll all be happy. Maybe the mystery item is a Rotary Phone? HTC is truly screwed. It has none of the financial resources to compete at the high end, and it has too high operating costs from being a legacy OEM to truly compete at the low end. I loved HTC. Was a loyal fan and truly admired their devices. From the M7-M10. Owned them all. Stopped at the U11. Hopefully they catch up with wireless charging and possibly LED? LG has cornered the audio game besides their external speakers . Wishing for the best for HTC however it may be too late. Just watch them release an overpriced mid-range device that still can't give better value than OnePlus. Its starts to seem that HTC has no idea what to do. Last years they announced that HTC will focus on hi-end flagships, because competition in mid-rangers is too high. Now they switch away from flagships, saying that there so more perspective (more money, more consumers) in mid-range. Why? Are HTC really so confident that they can compete against ton of Samy`s, Huawei`s, Nokia`s mid-rangers, and millions of Chinese devices? HTC is (where) great phone producers. But everything changes. Rather they use their brand on marketing (as NOKIA and Blackberry did, and raised from ashes), or they will be swept away by growing competition (and shrinking market of phones overall). Others "big" brands, as LG, Saony, Motorola (Lenovo), are strugling as well. But thay are backed by other large busineses of consumer electronics and PC production, so thay can sustain lo profit or losses for long time. For HTC it is different story, their main business is (where) phones, and I do not think that Vive VR device business alone can keep the company afloat.